The Papal nobility once constituted the nobility of the Papal States. The style of Count has been perhaps the most frequently awarded title. The tradition of Popes granting titles continued regularly well past even the 19th century. The Lateran Accord of 1929 resulted in the recognition of Papal titles by the Kingdom of Italy, thereby making them equivalent to their Italian counterparts. However, Paul VI removed the traditional privileges of the nobility and decreed that they would no longer form a functioning part of the Papal Court. Even after this change, titles of nobility are still awarded by and in the name of the Roman Pontiff. More recent awards include those of John Paul II to two Polish gentlemen. These awards were made quietly and without publication in Acta Apostolicae Sedis (Philippe Levillain, ed. John W. O'Malley, tr. The Papacy: An Encyclopedia (2002) vol. ii s.v. "Nobility, Roman"). As with the award of knighthoods and medals of merit, the awards of titles of nobility are now merely acts of special favor and do not convey any special status. 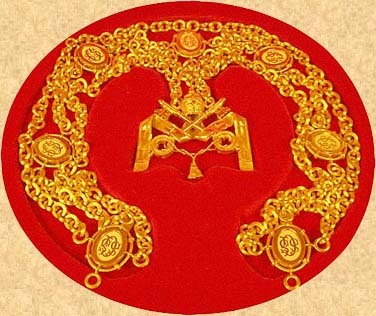 Though effectively honorary in the modern era, the grant of a title of Papal nobility also conveys the traditional heraldic privileges, namely the use of a coronet above the coat of arms appropriate to the rank of the title. Also included in the Papal nobility is the office of Gentleman of His Holiness (in Italian, Gentiluomo di Sua Santita, or abbreviated Genti di SS). The Papal Gentlemen often still are chosen from the ancient Roman nobility, though they also come from around the world.